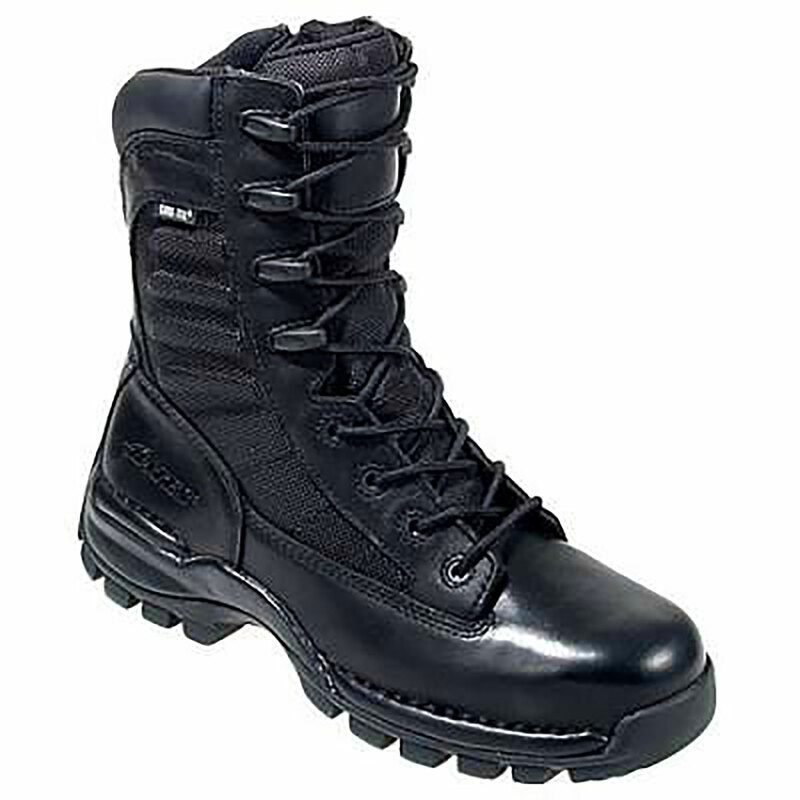 Made with tough full grain black leather and ballistic nylon, these boots are ready for the worst. With the inside zipper, you'll be slipping these boots on and off in a flash, and thanks to the durable zipper strap, the zipper will be staying put as you go about your work. In case things a little wet out there, the waterproof lining will keep your feet dry from outside water while allowing inner moisture to leave. The removable comfort-flex sock liner will provide the cushioning and flexibility you need to keep going strong all day long. The multi-directional lugs of the Bates Stingray outsoles provide exceptional traction. And because these rubber soles are both non-slip and oil-resistant, you'll get that great traction even on slick surfaces.